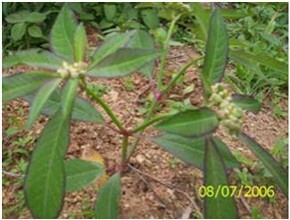 Habit : Succulent/ Tender herb. Preparation : Leaf crushed with water for extract. 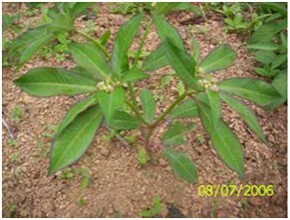 Ailment Treated : Leaf extract is given in constipation and other bowel complaints. Source : Cultivated in home gardens.